A follow up to the Port Askaig, Keills and Bowmore seen from Jura picture I posted recently. There someone asked where Caol Ila was. 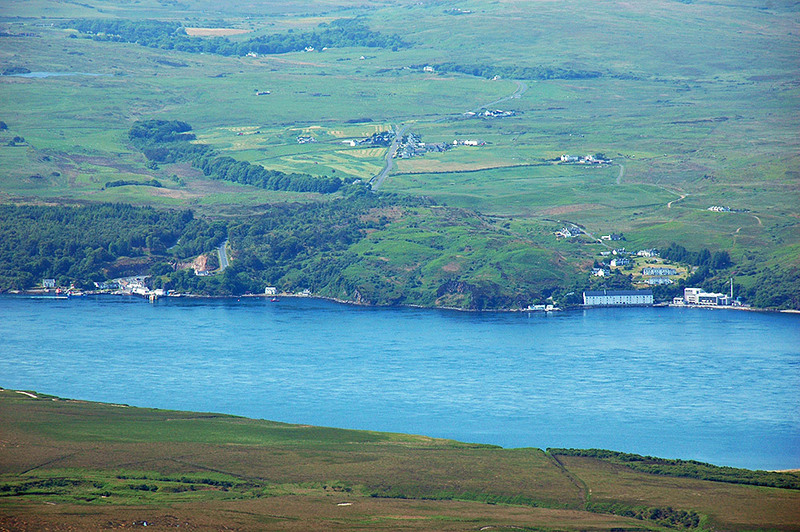 This view from the summit of Beinn an Oir, the highest of the Paps of Jura at 785m, shows both Port Askaig and Caol Ila at the Sound of Islay with Keills further back inland. I’m not entirely sure what the loch on the top left is, but I think it’s Loch nan Cadhan. This entry was posted in Distilleries, Freshwater Loch, Jura Excursion, Landscape, New Post, Sunny Weather, Village and tagged Beinn an Oir, Caol Ila, Islay, Jura, Keills, Loch nan Cadhan, Paps of Jura, Persabus, Port Askaig, Sound of Islay by Armin Grewe. Bookmark the permalink.